I said to a pastor friend, "I wonder if you'd allow me to offer a tiny word of criticism on last Sunday's sermon." He sat up straight and beamed. "I'd welcome a criticism!" I said, "You jumped off into the deep end of the pool with us. Within two minutes after you began the sermon we were in over our heads. That makes it hard on a congregation to keep up and follow you." "How much better to wade out in the shallow end at first. Let us adjust to the water temperature and see where you are going with this message. Gradually take us into the deep." He welcomed the thought and proved once again what I already knew—what a terrific fellow he is. One doesn't abruptly offer criticism or suggestions without confidence that the recipient will welcome it. This fellow was on trial for murder, although the body of the deceased had never been found. At one point, the defendant's lawyer made a startling announcement. "Ladies and gentlemen of the jury, if you will put your attention on those doors in the rear, in exactly 15 seconds, the person my client is accused of murdering will walk into this courtroom!" Everyone turned to the doors and counted off the seconds. The time came and went. The defense attorney said, "While it is true that the man did not walk through those doors, please notice that every one of you turned and looked, expecting him to do so. That shows reasonable doubt about my client's guilt. And if there is reasonable doubt, you must acquit!" A short time later, the jury retired to deliberate. Within 10 minutes, they were back. The judge asked if they had reached a verdict. "We have, your honor. We find the defendant guilty as charged." A few minutes later, the attorney caught a member of the jury. "How could you find him guilty? All of you turned and looked, expecting the dead man to walk through those doors." The juror said, "That's true. We all turned and looked. But sir, there was only one person in the entire courtroom who did not turn and look. Your client. He didn't turn because he knew the corpse wasn't coming through those doors. He had killed him." The speaker paused for our reactions, then looked out at his audience and said, "I'll be looking at the doors in the back today, where there is a clock. And I promise you I'll stay on time." A minister drove into Bloomington, Illinois, late one Saturday afternoon, checked into a hotel and walked outside to buy a newspaper. He would be preaching in a church there the next morning and wanted to see if anything was going on locally which might connect with his sermon in some way. He took the paper back to the room and read it. There was nothing in the paper that spoke to his sermon, but the minister did make a little discovery. Not far from Bloomington, Illinois, are two towns with unusual names. There is Normal, Illinois, and a few miles farther out is the community of Oblong. A wedding was going on, and the announcement said, "Normal Boy to Marry Oblong Girl." The pastor laughed and tore it out to share with the congregation the next morning. Sunday morning in the introductory part of his sermon he pulled out that wedding announcement to share with the people. He read it and then waited for a reaction. They sat there staring at him. To them, these were just the names of local communities, as though a Mississippi paper might say "Tupelo Boy to Marry Hattiesburg Girl." That's when something occurred to that pastor. When we were new to the Christian faith, all of the wonderful teachings and doctrines and hymns were fresh and cutting edge and wonderful. We could not get enough of this! God is love! Jesus died for my sins! My sins are gone. I'm going to heaven! There is no condemnation to those who are in Christ! 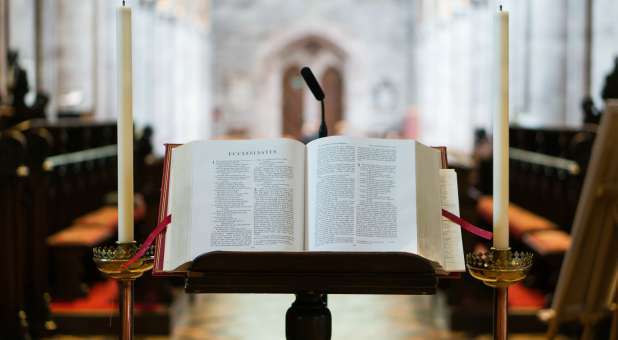 However, over the years, as we have sung those hymns and read those texts and heard those sermons hundreds of times, they tend to lose their edge and even become stale, a little trivial. In today's message, I want to remind you of some of the precious truths of the gospel which need to be dusted off and returned to service in the kingdom. Note: I've used that story as the lead-in to a week of revival services. After telling it, I'll say something like this: "One reason for a time of revival is to take down off the mantel (or pedestal) all those great truths of the gospel of Jesus and dust them off and restore them to their rightful place in our lives! So this week we're going to be talking about the love of God, the forgiveness of Jesus Christ and the good news that everyone who believes in Jesus will live forever!" I will add, "When the week is over, you may not have heard a thing you didn't already know. But if we are successful, you will love them so much more!" I was preaching on something and having a hard time getting it across. Many in the congregation had grown tired of trying to grasp whatever I was saying and were taking a brief nap. In the middle of my ordeal, 7-year-old Holly Martin turned to her mother Lydia and asked: "Mother, why does Doctor Joe think we need this information?" Today, let's look at the why of the gospel. 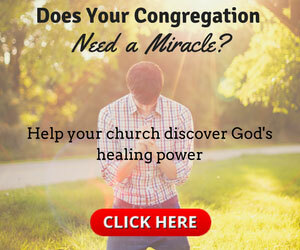 Why do we need to be saved? To live for God? To spread the Word? I tell a story—which is too lengthy for this space—of meeting with the disciples of an Indian guru who was attracting the attention of a lot of young people locally as well as throughout the country. I'd read up on their doctrine and knew that they taught God had lived on earth in human form in every generation since creation. According to their guru, Abraham was God in the flesh, as was Moses, Jesus, Mohammed, Krishna, Buddha, Confucius and so forth. And, at the moment, the latest incarnation of the living God happened to be that guru. One night, in a confrontation with the guru's disciples before a group of teens and their parents, I questioned this doctrine. "All those others you mentioned are dead and buried. But Jesus Christ came out of the grave and is still alive. That makes Him a zillion miles above all those others. What do you do with the resurrection?" No silliness. Nothing trite and nothing about last Friday night's ball game. The introduction to the sermon should be well thought out. It should be a lead-in to the points you're going to be making in the sermon. Throughout your preparation, keep this before the Lord. He has heard all the illustrations and introductions ever given. He even inspired a goodly portion of them (smile, please). So, ask Him. And keep your antenna out, looking for them. And, if preaching time approaches and you have not been able to find a good introductory story or illustration—something—leave the matter open-ended until a few minutes before the worship service begins. If nothing has presented itself to you by then, then, sending up a prayer for His help and the congregation's response, do the best you can. After five years as director of missions for the 100 Southern Baptist churches of metro New Orleans, Joe McKeever retired on June 1, 2009. These days, he has an office at the First Baptist Church of Kenner, where he's working on three books and trying to accept every speaking/preaching invitation that comes his way.